Do you not know when to stop? 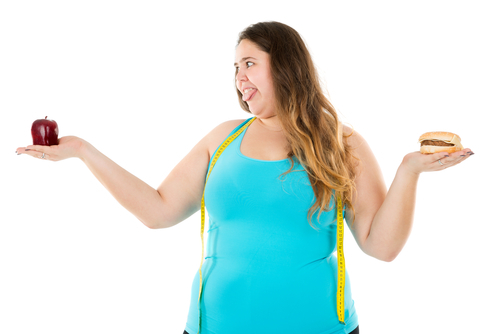 Is it having a damaging effect on your weight and your wellbeing? Then it’s probably time to change your relationship with food. We prepare and eat meals several times a day, every day, so food is a big part of everyone’s life. So how do you break the habit of a lifetime? These three simple steps will help you to change the way you look at food, and help you start your journey to a happier, healthier lifestyle. When you sit down to eat a meal, take your time and enjoy it. It takes your brain 15 to 20 minutes to register that you are full up, so eating quickly can lead to eating far more than your body actually needs. Instead, take breaks between mouthfuls and allow your brain to catch up with your belly. Another way to curb your portions is by using a smaller plate when you serve up your meal. Portion sizes have increased by nearly 50% on average in recent years, so we are in the habit of eating too much. Using a smaller plate will ensure you are eating an appropriate amount, whilst you can still feel like you are eating a full plate of dinner, to avoid feeling unsatisfied after. Often, when we want to lose weight, we embark on strict and extreme diet plans. This includes reducing calorie intake to below what our body needs to function properly and even cutting out whole food groups entirely – carbohydrates are the most common. Using extreme diet plans doesn’t provide the body with all the nutrients it needs; it slows down your ability to lose weight and on top of that, it also increases the likelihood of you piling on far more weight when you stop. Severe diet plans are unsustainable over time, so all it achieves is yo-yo dieting, which is both unhealthy and unproductive. When crash diets collapse, often, so does our restraint. We often treat food as a reward for ‘being good’ and this lends itself to binge eating. To successfully change your relationship with food, you need to let go of the ‘one more won’t hurt’ mentality. Trying to eat perfectly will only lead to feelings of guilt. So have a treat, enjoy it, then stop there. You are allowed a treat, within reason. A healthy relationship with food is not depriving yourself of the things you enjoy, but eating a healthy, balanced diet. If you really want to change your relationship with food, you need to question yourself. Take the time to think about why you eat junk foods, why you eat too often, why you overeat. Most of the time, our unhealthy relationships with food stem from some kind of emotional trigger. Do you ear when you’re bored? Do you eat for pleasure, or for comfort? We get into the habit of eating when we feel a certain way. But if you can identify what compels you to overeat, the next time you reach for the chocolate, you can pause and ask yourself whether you are genuinely hungry, or simply out of habit. Being able to identify the difference between WANTING food and NEEDING food is the key to changing your long term relationship with food. Changing your relationship with food for good, takes a lot of strength and willpower. If it feels like a lot to tackle alone, you should consider the Gastric Mind Band. With a mixture of hypnotherapy, CBT and in depth discussions, GMB can help you really break down your relationship with food, and build it up again in a far more positive and healthy way. With an incredibly personal service, and help throughout your journey you can make incredible, lasting changes. To find out more, or to book an appointment for your GMBand treatment simply click here. 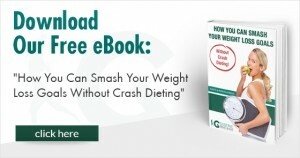 To find out more about how to conquer your bad eating habits, download our FREE ebook How You Can Smash Your Weight Loss Goals Without Crash Dieting. Simply click on the image below!